NITI Aayog Calls for Creating Conditions to Import Indian-Origin Doctors According to estimates, India needs close to five lakh additional specialists, the report highlighted. A policy think tank of the Government of India NITI Aayog (National Institution for Transforming India) has pitched for enactment of the National Medical Commission (NMC) Bill, 2017, observing that regulatory bodies of the Medical Council of India and the Nursing Council of India have "failed" to make sure adequate availability and quality of health professionals. In its 'Strategy for New India @75' document released on Wednesday, NITI Aayog has recommended revamping of the regulatory system of nursing education to ensure quality training in nursing schools and also stressed on developing centers of excellence in nursing and enhancing the reputation of government nurses. The Aayog said the quality of health professional training and adherence to standards is sub-optimal, including in the private sector. 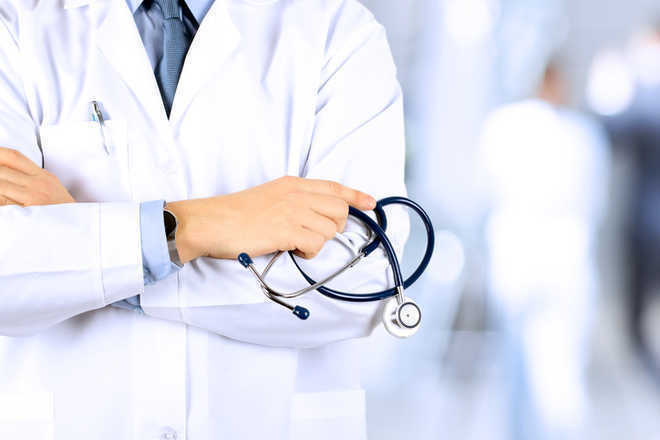 To address the shortage of doctors in the country, the Aayog has suggested creating conditions to ease import of doctors, particularly those of Indian-origin working abroad, and as well deploying teachers from universities abroad as visiting professors at AIIMS (All India Institutes of Medical Sciences) or NIEs (National Institute Of Engineering & Sciences) while linking at least 40 percent of district hospitals with medical colleges. It also suggested developing a framework for the deployment of doctors and specialists from the private sector to government hospitals on a visiting or voluntary basis and expanding the system of Diplomate of National Board (DNB) and Diplomas from College of Physicians and Surgeons (CPS). "Workforce shortages and uneven distribution of doctors, nurses, specialists, and allied health professionals plague the sector," the Aayog said while observing that urban areas have four times as many doctors and three times as many nurses as compared to rural areas. Medical and nursing colleges are concentrated in a few states like Andhra Pradesh, Karnataka, Tamil Nadu, Kerala, Gujarat, and Maharashtra. Pointing to the acute scarcities in the category of Allied Health Professionals (AHPs) including medical lab technicians, radiologists, and optometrists, the Aayog has sought setting up of a Council to guarantee standardization of education and putting in place superior control mechanisms for teaching methods, educational institutions, and workforce management. It proposed putting in place an updated curriculum for medical and allied professions that keep pace with the changing dynamics of policy, public health, and demographics. As far as specialists are concerned, the Aayog observed that a large number of posts are vacant all over the country. According to estimates, India needs close to five lakh additional specialists, the report highlighted. There is also an acute shortage of medical faculty. Of the 1,830 faculty posts across six All India Institutes of Medical Sciences (AIIMS), approximately 583 (31 percent) had been filled up until July 2017, the Aayog pointed out. According to the report, as of March 2017, there were 10.23 lakh allopathic doctors registered with the MCI (Medical Council of India) or state medical councils. Assuming 80 percent availability, the Aayog estimated that around 8.18 lakh doctors may actually be available for active service. This gives a doctor-population ratio of 1:1613 against the World Health Organization (WHO) norm of 1:1000, it said. The current nurse-population ratio is 1:588. "Due to the sub-optimal quality of training offered by several institutions that have mushroomed over the years, limited career prospects and poor working conditions, especially in the private sector, there is a significant shortage of skilled nurses in the country," the Aayog stated. "Private practice by medical faculty in teaching institutions is rampant in several states, compromising on the commitment to teaching and institutional clinical work," it highlighted. Among the constraints, the Aayog mentioned were poor infrastructure in many state and private medical/nursing/dental colleges. It further said that health professionals in the public sector are inadequately compensated and motivation levels are extremely poor. Fair compensation in the private sector, for nurses, is also a challenge. The Aayog has recommended creating a cadre of primary healthcare practitioners by initiating a three-year competency-based dynamic course for primary, community and family medicine and partner with private hospitals or private medical practitioners to nursing, skill technicians, and para-nursing as well as para-medical employees to deal with the scarcity of health professionals. Air India To Be Privatised? NITI Aayog targets 50 medals for India in 2024 Olympics!